Singapore gearbox and speed reducer manufacturer(supplier),Specialist in:worm reducer, worm gearbox, planetary gearbox,cycloidal speed reducer, variators,helical gear,sprial bevel gears, agricultural gearbox,marine gearbox, tractor gears, truck gears,electric motors,Screw actuators. Both clutches removable when transmission being attached to engine. Identical performance and ratios for forward or reverse motion and convenience for twin-engine fitting. The rated transmission capacity expressed in this catalogue are for the continous duty(operated continuously at full engine governed soeed). 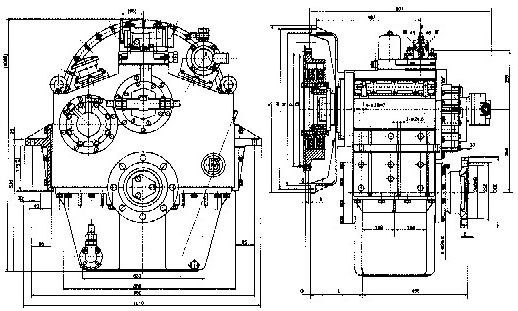 Specialist in: Singapore gearbox and speed reducer manufacturer(supplier),Specialist in:worm reducer, worm gearbox, planetary gearbox,cycloidal speed reducer, variators, helical gear,sprial bevel gears , agricultural gearbox,marine gearbox, tractor gears, truck gears,electric motors,Screw actuators.